On a Mount Rushmore of ‘60s and ‘70s soul music, there is no doubt that Motown and Stax would own the first two spots. The third slot would have to be Gamble and Huff’s Philadelphia International Records. After that, there’s no clear favorite for the fourth spot. While those three labels were the ones primarily providing the classic soul soundtrack of those decades, there were plenty of little-known regional labels across the United States looking to join the hit parade. And if these far-flung outposts never scaled the heights of Motown, Stax, and PIR, it doesn’t mean they weren’t producing their share of great music and local, and sometimes more, airplay and chart action. Legrand Records in Norfolk, Va. created the Norfolk Sound and the label’s Gary U.S. Bonds had hits with “New Orleans” and “Quarter To Three.” Alston Records, in Miami, was the first label to record Sam and Dave. Alston’s “Clean Up Woman” by Betty Wright reached number six on the U.S. pop charts, where it stayed for 14 weeks in 1971. Nashville’s Sound Stage 7 cut deep soul records treasured by the music’s aficionados. Out west, in Los Angeles, the Fat Fish and Autumn labels released 45s that collectors spend a lot of money on. Many of the Autumn tracks were produced by Sylvester Stewart, who a few years later hit it big as Sly Stone. And in Baltimore, there was the Ru-Jac label, which released many first-rate soul and R&B singles from 1963 until the mid-1970s. Reissue specialists Omnivore Recordings has rolled out four volumes of the label’s records on CD, a first-time compilation. Liner notes by East Coast soul historian and series co-producer Kevin Coombe details the rise and eventual closure of the label and its close ties to the then-segregated beaches and performance spaces of the region. Rare photos and ephemera included with the discs help illustrate and trace the history of the label. Coombe, who operates the DC Soul Recordings website, says, “I was always hoping to do a project on Ru-Jac. 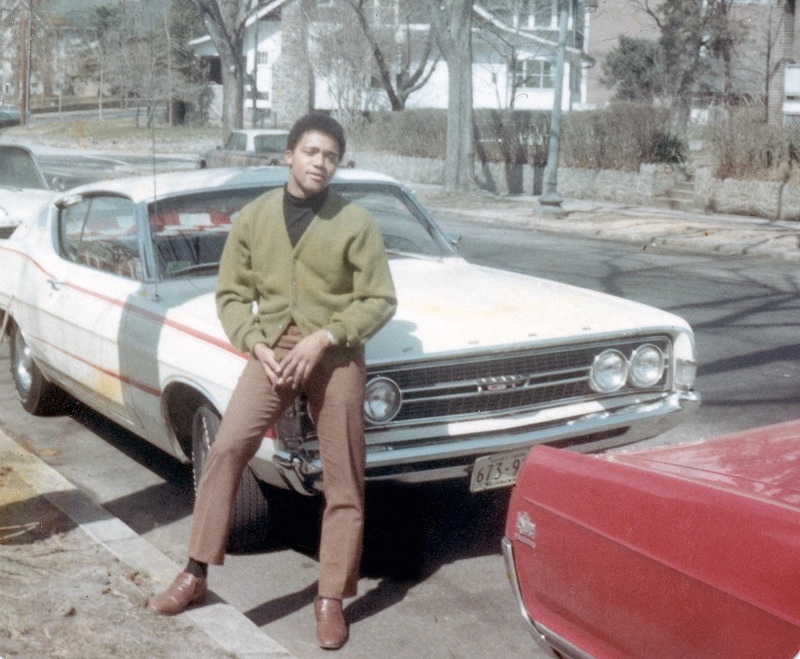 It’s a cache of history that bridges a lot of D.C. and Baltimore soul and R&B music. “I like a lot of different types of Ru-Jac’s music from different eras for different reasons,” he says, naming Gene and Eddie’s “It’s No Sin” and Saturday’s psychedelic soul “Changes Part I” as two of his favorites. Ru-Jac was founded in 1963 by a local promoter and businessman, Rufus Mitchell, the “Ru” in Ru-Jac, and the label’s mover and shaker, and his investor partner, Jack Bennett, the Jac. “He was a good guy. He was like a father to me,” says Winfield Parker, a Baltimore native considered by many soul music fans the label’s most enduring artist. “I am who I am today because of him.” Mitchell used to buy him suits and one time gave him a car, says Parker, who began his career as a saxophone player and performed for a time in Little Richard’s band. 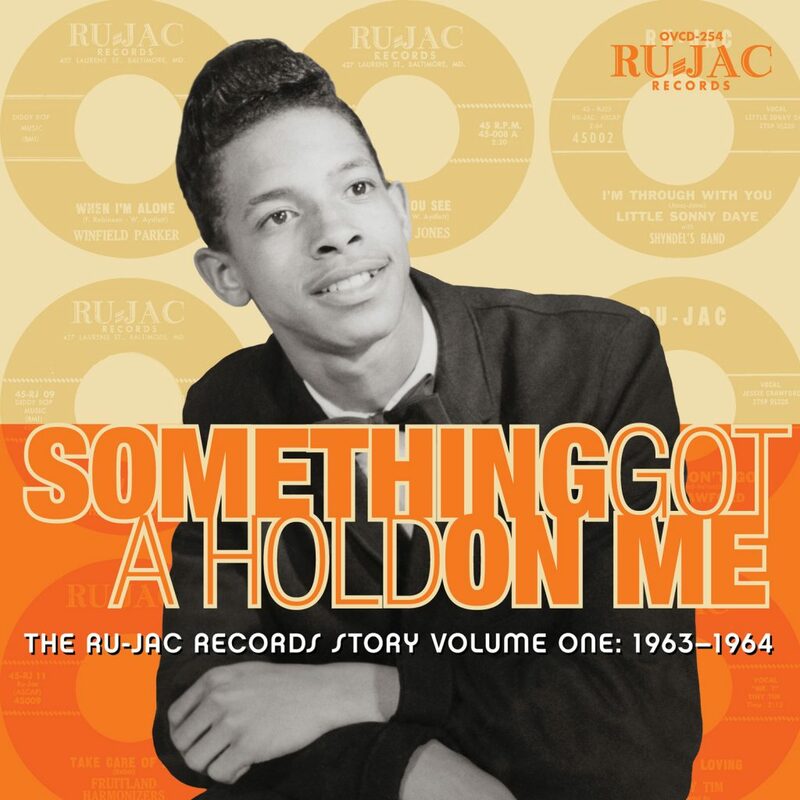 Although he never recorded anything for the label that was released under his own name, Ru-Jac’s most notable singer was Arthur Conley, who went on to record “Sweet Soul Music,” which he co-wrote with Otis Redding. Arthur Conley singing lead on the Harold Holt’s band “I’m A Stranger,” which Conley co-wrote, in 1965. Mitchell, in his guise as a promoter, had grown close to Redding by booking him for shows, and Redding met Conley after dropping in on Mitchell’s Baltimore office. Mitchell signed a deal in 1965 in which he would continue to manage Conley while relinquishing all publishing rights to Conley’s music. “Conley secretly signed with Walden Enterprises just prior to Redding’s fatal plane crash in the latter half of 1967, and Mitchell, once aware of the betrayal, filed a lawsuit against his former friend for breach of contract and failure to pay commissions,” Coombe says in the liner notes. It was a blow, but Ru-Jac continued to sign and record local talent and place songs with other, larger labels like Chess Records. 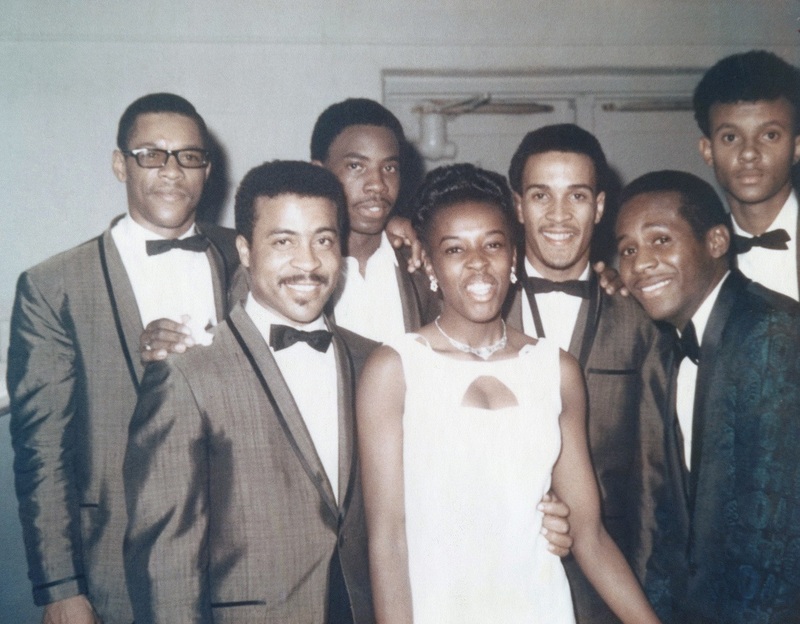 And while the label never strayed to far from its soul and R&B sweet spot, Ru-Jac released a single, “Take Care of Me” b/w “My Father Watches Over Me,” by the legendary Delmarva Peninsula gospel quartet, the Fruitland Harmonizers. Butch Cornell’s Trio recorded the jazz sides, “Here ‘Tis Now” b/w “Goose Pimples,” in 1964. “Goose Pimples” reached #26 on area radio station WWIN. And when funk become popular, the label added that sound to its repertoire. It was a low-risk enterprise, with Ru-Jac pressing 250 to 500 records at a time. Despite excellent cuts, the label’s records could never attain more than local popularity. That was the case with Parker. “I didn’t get the airplay I could have gotten,” Parker confirms. “I got airplay locally. I didn’t get airplay nationally.” Mitchell released Parker from his contract and the singer began making records in Philadelphia, and gaining some chart action, including the song “S.O.S.,” which reached 48 on Billboard’s R&B charts in September 1971. “I think Ru-Jac’s legacy is admirable but not outstanding,” says John Lias, author of the two-volume Spinning Around, A History of the Soul LP, whose first volume was published in 2016. “They didn’t have a recognizable ‘sound’ in the way Stax, Motown or Philadelphia International did simply because they didn’t have their own studio. They did release some great records, though and were the most significant of any Baltimore-based soul label. “A great Ru-Jac artist was Fred Martin,” Lias says. “’Take Me Back Again’ and ‘When I’m Alone’ are super soulful 45s,” he said. Fred Martin Revue from 1969. Martin is far right in the blue jacket. Ru-Jac’s foremost artist, Lias believes, was Parker. “I think Winfield Parker has to be classed as their most significant artist as he managed to sustain a recording career for the best part of twenty years with his stage performances lasting longer than that,” Lias says. “I think one of Parker’s strengths was that he could sing convincingly in different styles: soulful as in “When I’m Alone,” or dance oriented as in his “Sweet Little Girl,” and within a group context when he was leading the group Best Of Both Worlds (which was released on Calla). Label founder Mitchell got married for a second time in 1972 and that spurred the beginning of the end for Ru-Jac. Between Mitchell’s new marriage, his wanting to focus on his other business interests, and the unresolved lawsuit involving Conley, Ru-Jac was no longer a priority. Mitchell died in 2003 at 93. Prior to his death, Mitchell gave the label’s masters to Parker, who would visit Mitchell and sing gospel tunes to his ill, longtime friend. Parker kept the masters in the basement of his Sykesville, Md. home, where they slowly deteriorated. A business associate connected Parker with Omnivore and with the agreement of Mitchell’s widow, they arranged for the label to restore and reissue the music. The label’s contracts, sheet music, and other ephemera, as well as photographs, the flip side of the music itself that Ru-Jac produced, lay around in cabinets in his office until they were unearthed for the re-issues. Parker, who continues to perform both his soul and R&B music as well as gospel approves of the completed project. “It’s real nice. It’s real nice,” he reports. “The legacy of Ru-Jac is the impact on artists such as Fred Martin, Winfield Parker, and Joe Quaterman, who may not have been super well-known but had careers because they had recorded for the label,” Coombe says. Actually *Atlantic* would be at least co-equal with Stax & Motown. I think Hi, Fame and Polydor (if only for James Brown and Ohio PLayers) make a clear second tier before you get to all the far-flung local labels. Rufus Mitchell was the booker for Carr’s Beach (Annapolis) from around 1960 to 67 (I don’t have the exact dates available to me at present though I listed them in my book on the Balto / Carr’s Beach Soul scene). It was at venues like Carr’s Beach and the Royal Theatre in Balto that Otis Redding got to know all the local artists. He took a number of them on tour with him down the years. I have numerous old ads for the Royal and Carr’s Beach, some of them being for shows that Otis & his revue played on. Rufus would add Ru-Jac artists to the bill at Carr’s Beach whenever he could.